This entry is part 20 of 29 in the series Bookshelf. Carl Gallups is the long-time senior pastor of a Gulf Coast Baptist church (since 1987). He is a TOP 100 best selling author on Amazon. Carl is a former Florida law enforcement officer. He also is a talk radio host with a large national and international audience (since 2002). He is a graduate of the Florida Police Training Academy, Florida State University, and the New Orleans Baptist Theological Seminary (M.Div.). Carl also serves on the Board of Regents at the University of Mobile, in Mobile, Alabama. 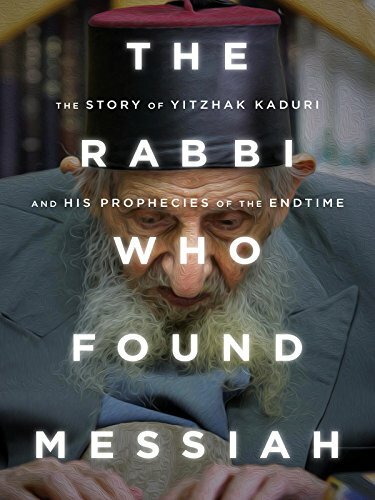 The Rabbi Who Found Messiah: The Story of Yitzhak Kaduri and His Prophecies of the Endtime.In fall 2005, at 108 years old, Rabbi Yitzchak Kaduri, the most venerated rabbinical Jewish leader in Israel, claimed that he had personally seen the Messiah in a vision and knew both His name and when he would appear publicly. Kaduri wrote the name of the Messiah in a sealed message with instructions that it be locked away until one year after his death. And he declared that a particular famous world leader had to die before the Messiah would return. A few months later the famous world leader fell gravely ill. The religious and political world held its collective breath. Within weeks of the world leader s malady, the elderly Rabbi Kaduri died. Several hundred thousand people flooded the streets of Jerusalem for his funeral, one of the largest in Israel s history. The death message, secreted away for one year as instructed, was finally opened and deciphered. There, before the eyes of the world, was the name of the soon-coming Messiah according to this celebrated teacher of Israel. Did the elderly, revered rabbi actually have a vision from God? Did he really see the Messiah who is soon to come? Based on the book by the same name This WND Films documentary The Rabbi Who Found Messiah by Carl Gallups takes an close look at the events surrounding Rabbi Kaduri s vision and prediction and explains what it all means. Renowned messianic rabbi and New York Times bestselling author Jonathan Cahn and Pastor Gallups provide insight into the messianic Jewish perspective, Hebrew messianic expectations, and the profound nature of Rabbi Kaduri s amazing pronouncement. The note that shook the religious world to its foundations is still shaking the world today. The pieces are yet falling into place just as the old rabbi predicted! Everything will be revealed in due time and the people will grieve.